It’s not easy being a kid these days. It’s not easy raising kids these days! So, I’m always happy to find and share with you organizations and companies who are creating ways to help parents raise children who embrace their faith and live confidently in how God created them. It’s even better can I can share a giveaway of what I find! Be sure to enter the drawing at the bottom of this post! Two years ago, Little Miss was terrified to enter second grade. In our district, entering second grade means moving to a different and much larger school. Around that time, I discovered Dayspring’s new line of U-Neek characters. 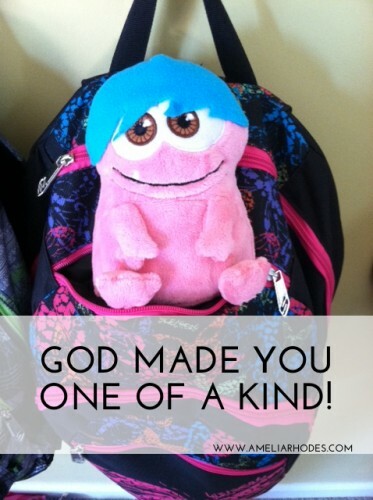 I told her that every time she saw him in her backpack she could remember that she wasn’t alone and that Daddy and I loved her very much, and even when we couldn’t be with her at school, God was always with her. Dweeber rode to school in her backpack every single day that year. 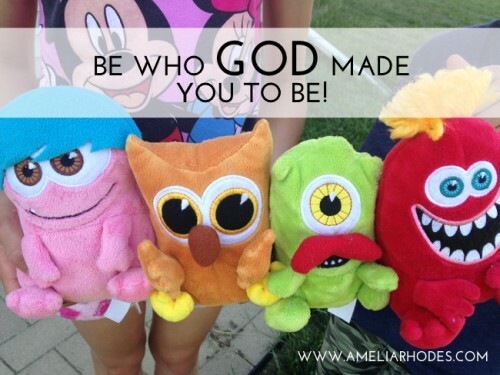 He quickly became a favorite toy and loving reminder of home and God’s love. Not one to be left out, T-Rex asked for his own U-Neek. That year for his birthday, I gave him this fun little guy, Mustachio. Mustachio joined a menagerie of stuffed cats and birds that formed a “nest” in his bed every night. Over time, these two characters became not just favorite toys, but symbolic reminders that we are each unique, and that it’s ok to be different. We might stand out from the crowd, but we are loved, and we are not alone. Last summer, the kids took Dweeber and Mustachio with them for their first week-long stay at my parents’ house by themselves. After the kids arrived back home, my Dad sent this picture. T-Rex accidentally left Mustachio behind. 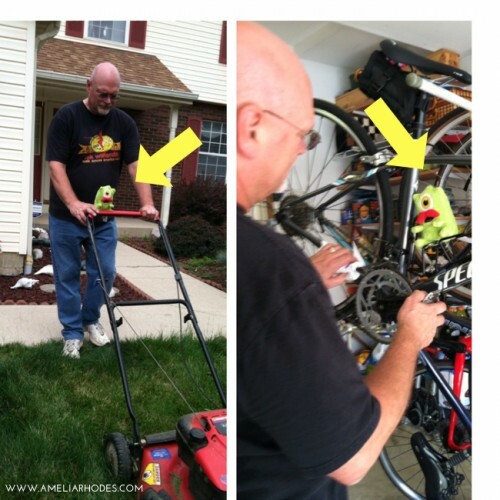 Grandpa put him to work helping him fix his bike and mowing the yard. Every day, T-Rex would ask, “What do you think Mustachio is up to today?” He’d laugh and giggle over the pictures my parents sent. The U-NEEK line includes greeting cards, stickers, a coupon book for special rewards, an encouragement pack of note cards, and more. I’ve stuck the little encouragement cards in lunch boxes and next to breakfast plates any time I think the kids could use an extra boost of love. What I appreciate about the pieces is that each one encourages the kids to remember they are uniquely created by God. This year for a little end of school year gift, we added to our U-NEEK family with Alliebird and Wally. Who knows what adventures they will go on this summer? From now until July 14, you can find the U-NEEK line of products at Walmart and Hobby Lobby. And an extra bonus: Dayspring released a U-Neeks game that the kids (and I) have been enjoying. Each of the characters has its own game and challenges from a water balloon toss, a paper plane toss, to throwing crawdads. It’s actually quite a bit of fun (I’m not a gamer, and I even like it!). Little Miss thinks it’s cool that every time you finish a round, the game flashes a little Bible verse. I’m delighted to share a couple U-Neek characters with YOU! Enter the drawing using the Rafflecopter widget below. I will draw two winners and announce them on the blog next Monday. Be sure to look for the U-Neeks at a Walmart, Hobby Lobby, or Christian bookstore near you! *disclaimer. I received these products from Dayspring in exchange for my stories and review. All opinions are my own. This is so cool. I remember you posting about these before. I think they are so fun! 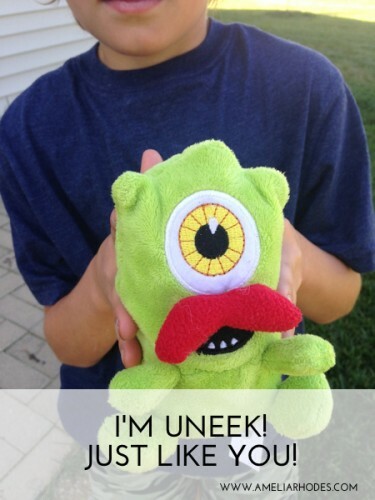 My kids ADORE all things related to UNEEK, and they totally get the message too! What a great idea, Amelia. With Landon starting preschool, this might be a good idea for him. Oh, Michele, yes it would!! What a great idea Amelia. With Austin going to a bigger school I think this is such a great idea for him and he would like to know that he has someone with him there. It’s such a big transition, Jennifer! I know they will do great, but those reminders that they aren’t alone are such a big encouragement. These look so fun. 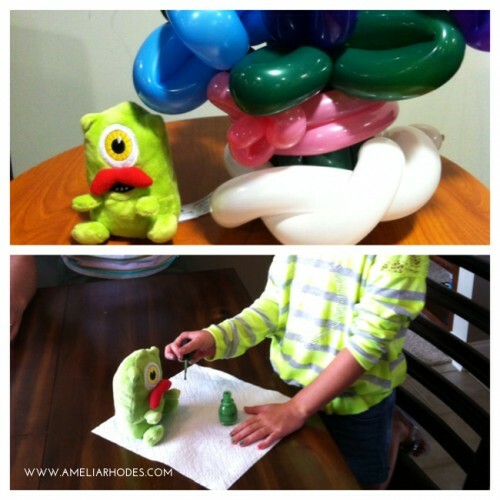 My kids would love the quirkiness of the characters! Those are so cute, all my kids would like them, but it would be perfect for my son Jack. My son is going to love these!! So cute! I have never seen these! I love them! Oh they are so awesome, Lisa! My kids love having “friends” to sleep with and take places. These are adorable!! These dolls are totally up Alyson’s alley. She is def a unique child! I love that she is that way!